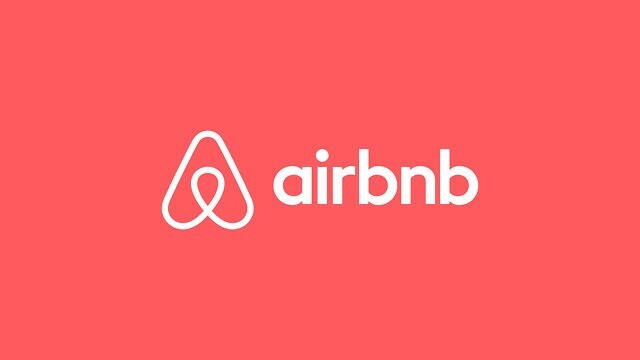 I ran a usability test with the goal of uncovering pain points in Airbnb’s rental booking process. 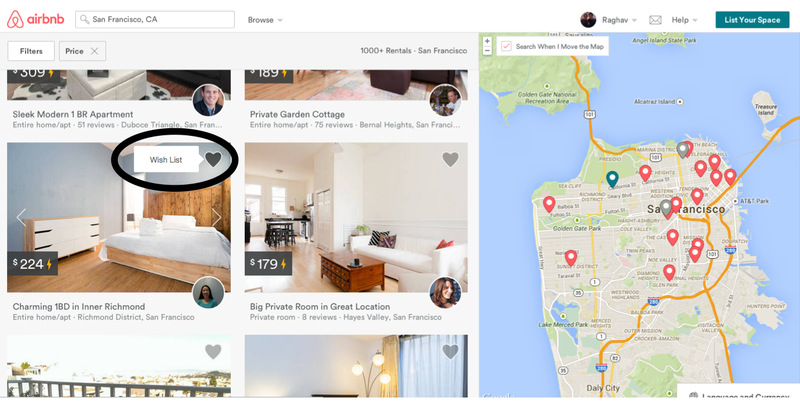 Identify pain points in Airbnb’s current rental booking process. Working professionals aged 24–35 who travel frequently for fun and/or for business. Users had either used Airbnb before or considered using Airbnb to book their accommodations. (I defined the target users this way because I had hypothesized that they were the primary demographic to which Airbnb caters. My hypothesis was based on 1) the expected age of the individuals featured in photos on Airbnb’s home page as it’s common for companies to use photos/videos their target audience can relate to, 2) the average age of employees at the corporate companies which have partnered with Airbnb. Airbnb is attempting to formalize business travel by partnering with other technology companies such as Lyft and Evernote — I assumed Airbnb targeted companies to partner with based off of employee demographics, and the average age at these tech companies tend to range from mid twenties to mid thirties). Can users easily search and book a place to stay? Can users identify and use the wish list feature to save rentals for future viewing? Search for a rental for a specific date range. Save one rental to their wish list. Select another rental and go through the process of booking it. An example scenario was the following: “Imagine that you’re looking for a rental in San Francisco, CA from Jan 17th to 18th of this year. Go ahead and find a place to stay.” It’s important not to sway the user’s behavior by mentioning key words on the site when explaining a scenario (i.e. “Go ahead and search for a place to stay” would not be ideal because that offers the user additional direction). 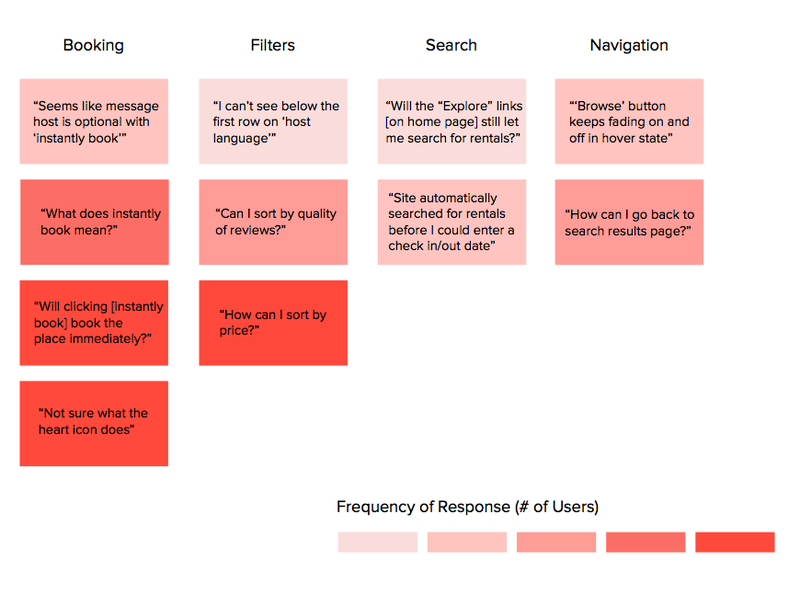 I gathered and ordered user feedback by the level of frequency of the following type of comments. I grouped the issues in four distinct categories. 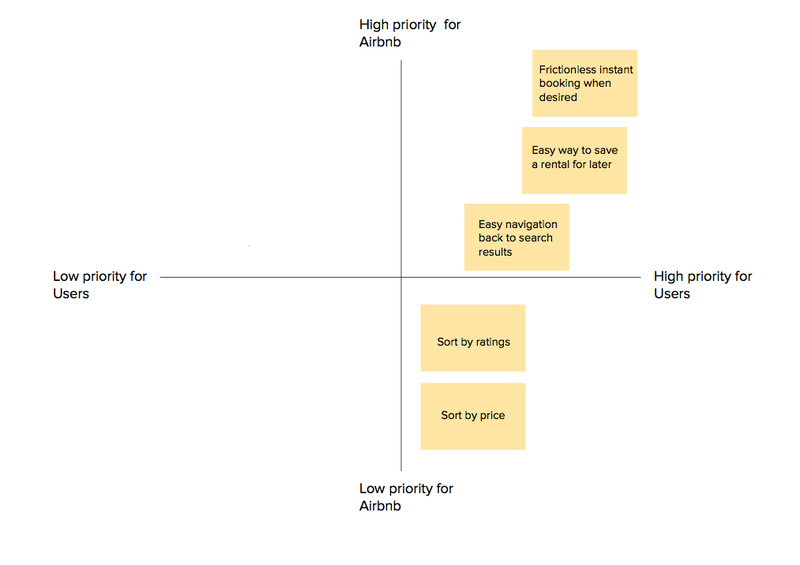 After gathering user feedback, I prioritized the issues based on how important I expected them to be to users and to Airbnb’s bottom line. Almost every user who wasn’t already familiar with Airbnb’s “instant book” feature was nervous about pressing this button. They didn’t know whether it “immediately” booked the reservation or whether there was another confirmation screen after it. However, I don’t think that this is a bad thing. In my usability test, obviously the users were not actually looking to book a reservation. 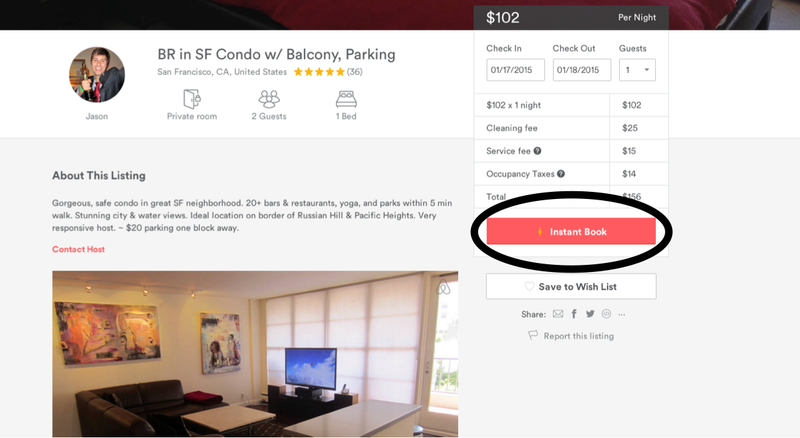 For real Airbnb users who are looking to book a reservation, I don’t think they would feel any aversion pressing “instant book” if that’s what they wanted to do. Only those who are not serious about instantly booking a reservation would be filtered out, which is most likely what Airbnb wants. Users did not know how to save a rental to view later from the search result screen. The heart icon allows rentals to be saved for future viewing in a wish list directly from the search results page, but users didn’t figure that out. Almost every user had to select a rental first before seeing a button that explicitly said “Save to Wish List.” Without clicking through, they weren’t able to figure out how to save a particular listing. Users had to select a rental before knowing how to save it for future viewing. Recommendation: While the user hovers over the heart icon before selecting a rental from the search results page, there should be a label that says “Wish List” beside the heart icon. With a label by the heart icon that appears as the user hovers over it, there would be one fewer click necessary if the user wants to save a rental to his/her wish list to view later. When the user hovers over the heart icon, a label should indicate the function of it. Implementing the above design could particularly improve the user experience for frequent travelers. For example, if a user is booking a flight to San Francisco, she could easily figure out how to save multiple local rentals to her wish list to make the booking process easier the next time she needs to travel to the area. Airbnb’s site is very well designed. I love the company, and I love UX. I just wanted to see if I could help make it more fun and intuitive to use than it already is! 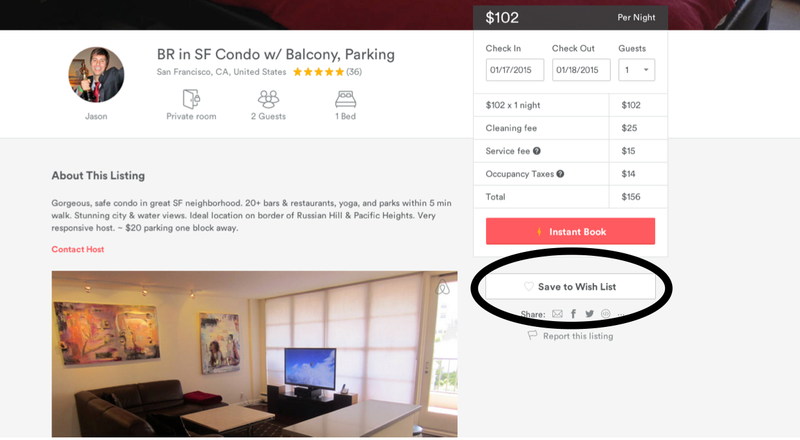 * Though I uncovered a handful of usability concerns in my test, I thought the design suggestion for the wish list feature would be the most impactful towards Airbnb’s bottom line. *I’m not affiliated with Airbnb in any way. a collection of insightful articles on modern UI & UX design theory, and usability.